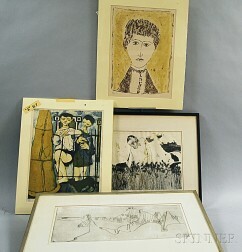 Save your search - find out immediately when "American/Italian School" is available at auction! 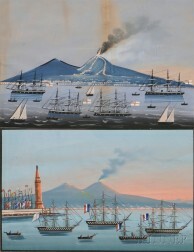 American/Italian School, 19th Century Two Views of the Eruption of Mount Vesuvius from the Port of Naples. 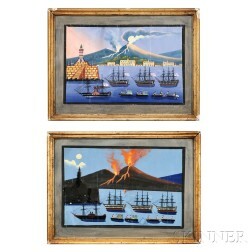 American/Italian School, 19th Century Two Views of the Eruption of Mount Vesuvius. 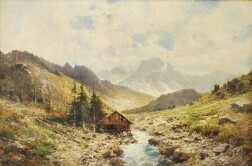 Italian/American School, 19th/20th Century Mountain Valley with Stream and Old Mill. William Salzillo (American, 20th/21st Century) View of an Italian Town. 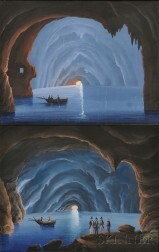 American/Italian School, 19th Century Two Works Depicting the Grotta Azzurra (Blue Grotto). 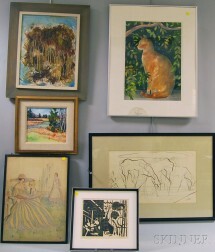 Six Works: William E. Ternes (American, 20th/21st Century), Sherborn Marshes, Mass. 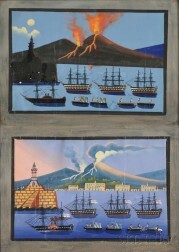 American School, 19th/20th Century Italian Landscape. Italian/American School, 19th Century Portrait of a Gentleman Holding a Letter. Edmund Darch Lewis (American, 1835-1910) Sailing Vessels on the Italian Coast.